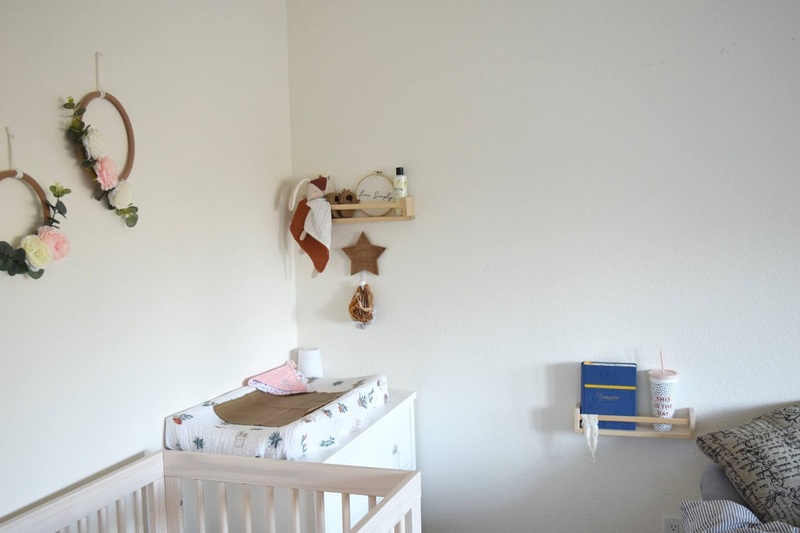 *This post is sponsored by Wayfair.com, they provided me with this beautiful crib in exchange for this post, as always all thoughts and opinions shared here are my own. 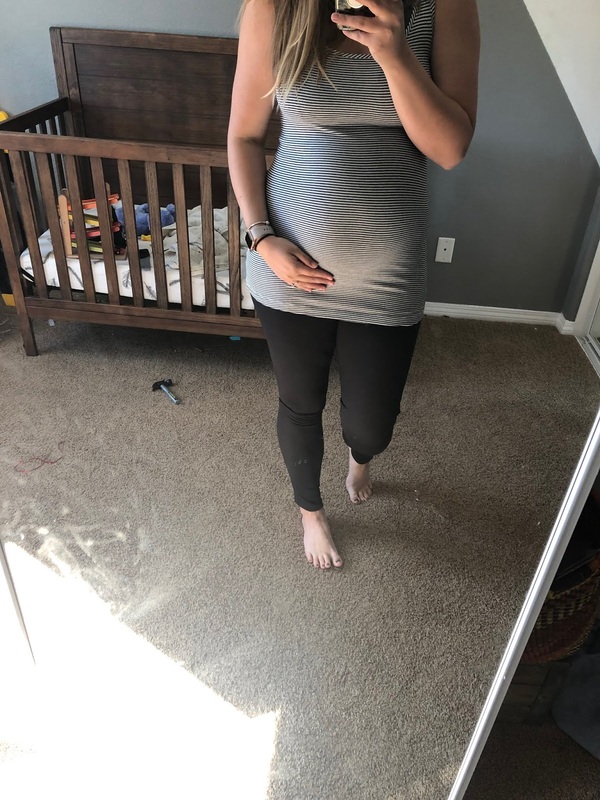 I blinked and now I am 39 weeks pregnant with our third baby! 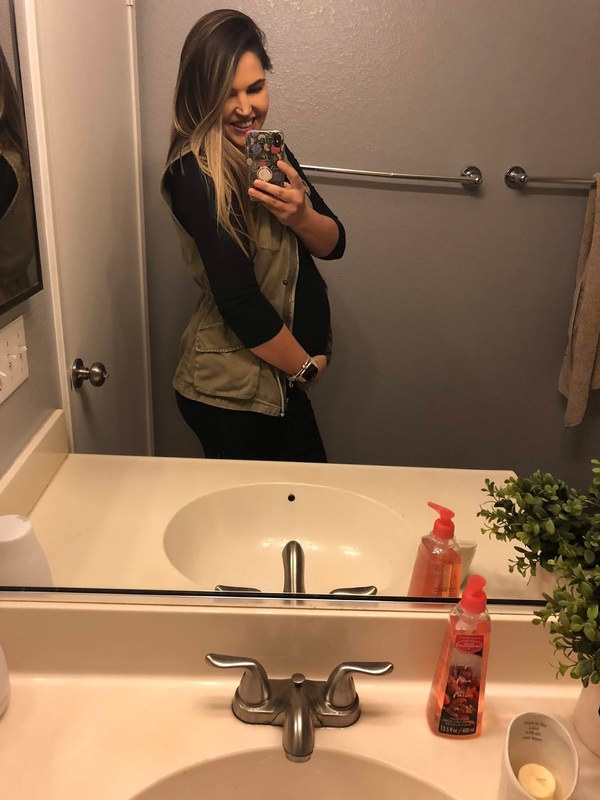 Because she is our third I definitely feel like I have been slower to get things all ready for her since I am so busy with Avery and Ryder. Which is not necessarily a bad thing, I have been super intentional with purchases and feel like I only have what we absolutely need! 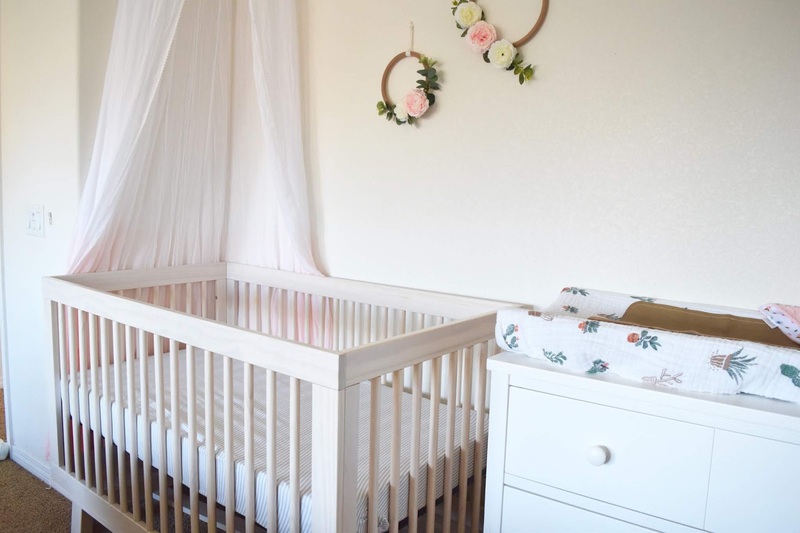 Our current home has 3 bedrooms so little miss Sadie doesn't have her very own nursery but she does have the sweetest little spot in our master bedroom! I definitely thought about having her share a room with one of the other two babes but for now I'm going to let them have their space to themselves as we transition into a family of 5. 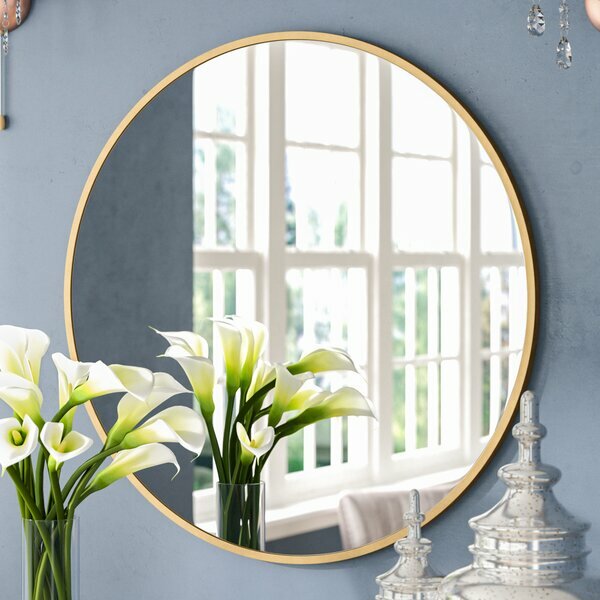 My whole vision was to have something functional, bright with girly touches because I can't help my love for florals! 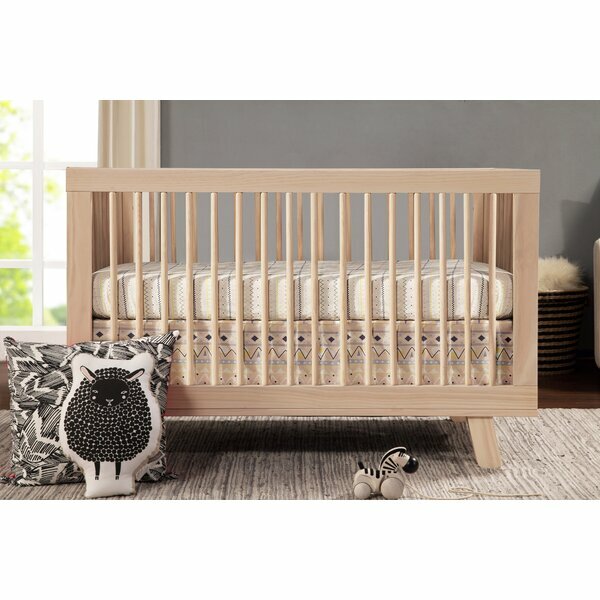 I kind of built everything around the crib, it is the Hudson 3-1 by the brand Babyletto from Wayfair the natural wood is what made me fall in love with it! And also it looks super cute as a toddler bed, it even came with the rail to turn it into one! 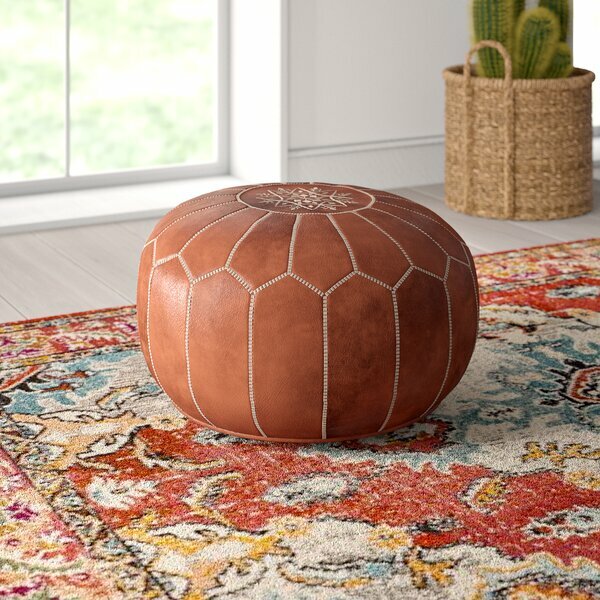 This was my first time getting anything from Wayfair and I was really impressed, the shipping was crazy fast (1 day!) and I couldn't believe how much they had to choose from. I am so excited to have this sweet crib for her to sleep in. Now let's just hope she will actually sleep in it. All my babies have been unintentional co-sleepers. I just can't fight the cuddles! This little corner is on my side of the bed, I had a nightstand originally but had the idea to put a tiny shelf up instead to save some space. I say shelf but this is actually a spice rack from Ikea that was $4.99! 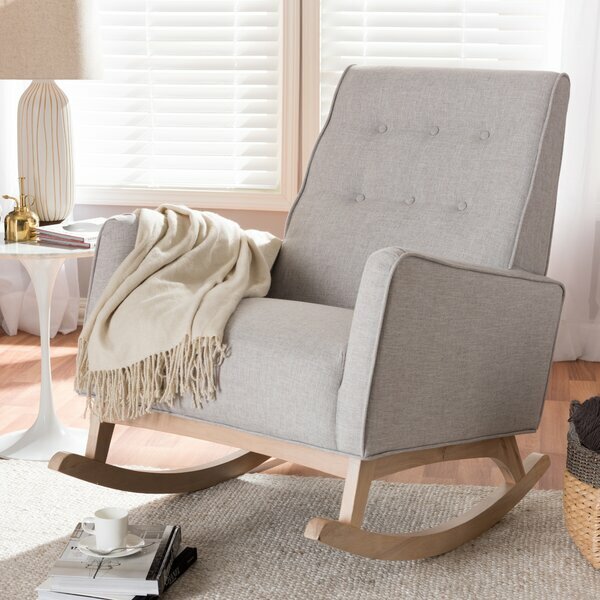 I splurged and bought two, one to go by her changing table/dresser as well. They ended up being the perfect size! I can fit my huge Bible, water cup and phone up there. Sadie's little shelf just has some little things for display but also our favorite lotion ever from Tubby Todd. This little canopy was a spur of the moment purchase at Target and I am obsessed with it! It made such a difference in the space and the ombre colors were so pretty! It also has little pom pom detailing! For safety reasons I will probably end up moving it to above the changing table when she starts to sleep in her crib but for right now I love how it looks! I saw these flower hoops at Buy Buy Baby and had to have them! They were $26 which I thought was pricey but I had a coupon so they came home with me. I kind of want to get another set to go right next to these! I love having this little shelf to display cute little things! Like this bunny lovey made by Amanda from a Mama Bear Sew Shop it is so special! 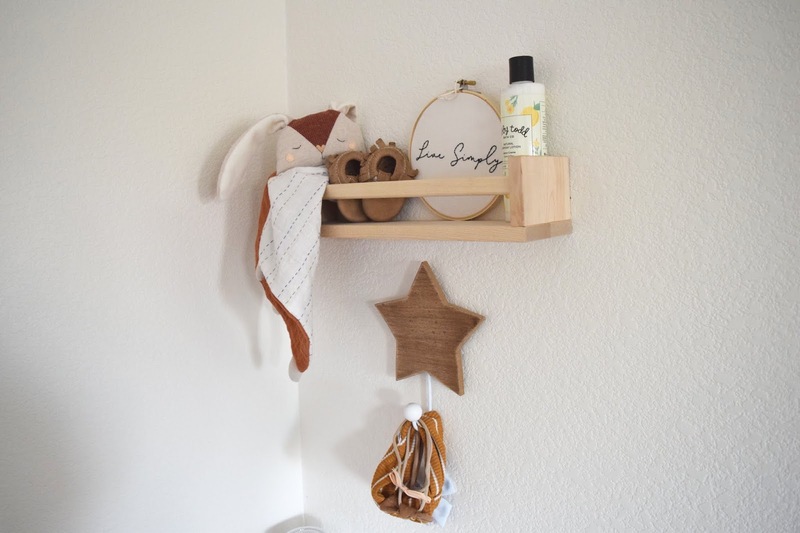 I also have some little newborn mocs from when Ryder was a baby, a little hoop art from Noelle Grae, and a little star hook from Hobby Lobby to hold headbands. 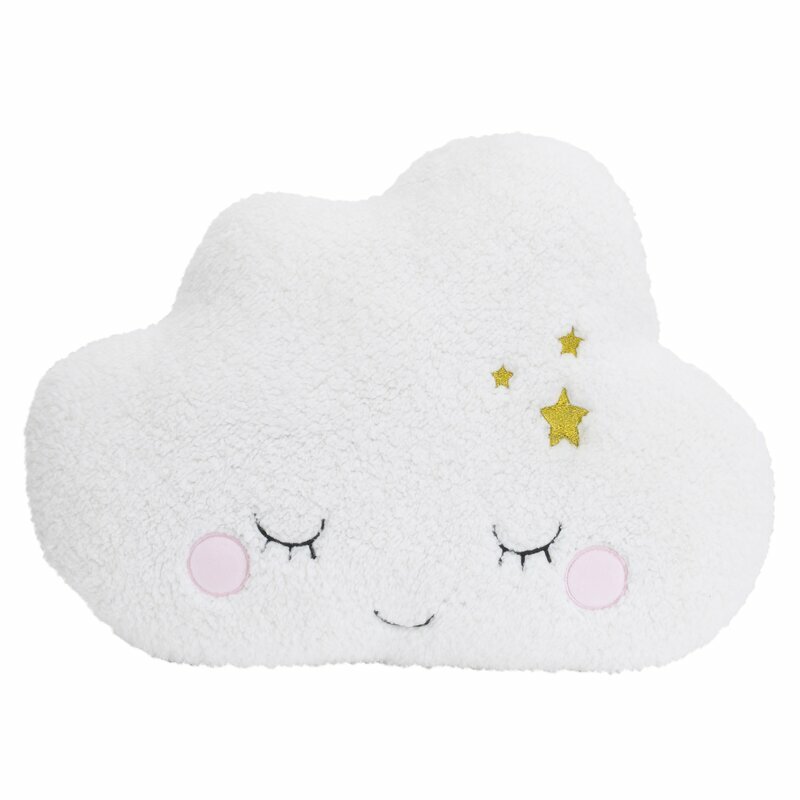 This changing pad cover from little unicorn might be my favorite thing ever, it is so dang cute! And it is actually a crib sheet! Which is rad because now it's handy if the one on her mattress needs to be washed. I placed our Gathre changing pad on top to help with blow outs. This thing is awesome! 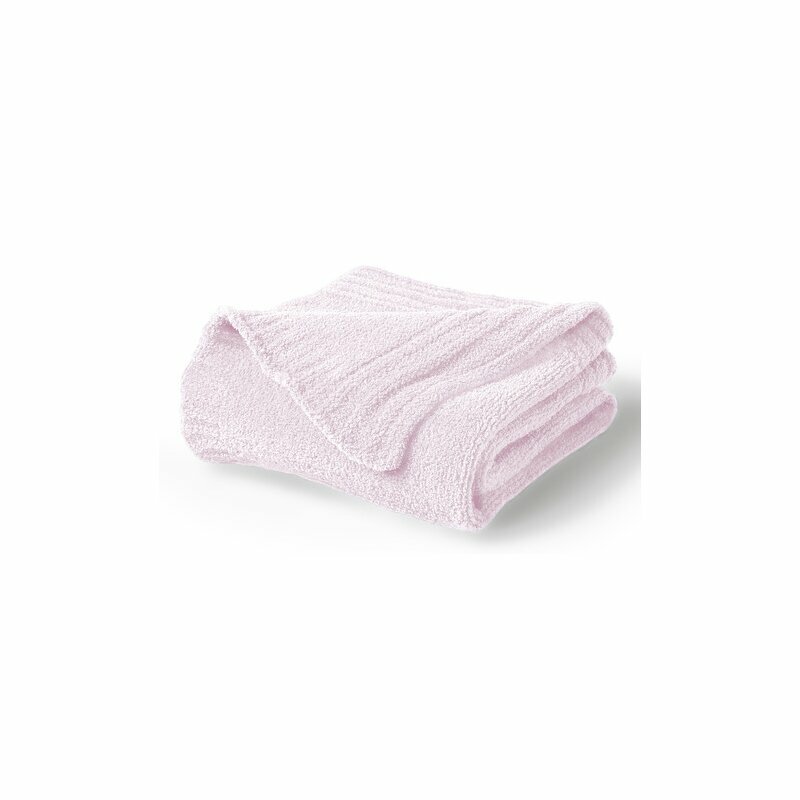 Messes wipe right off and it can fold super tiny in a diaper bag! This dresser was the perfect size for this space! It is from Delta Children's and has 3 huge drawers! In the first drawer I have diapers, wipes, hygine items, pacifiers, mittens, socks and some things for breastfeeding. Secind drawer is newborn clothes which I'll rotate as she moves in sizes, the rest of her clothes are in my closet. 3rd drawer is just blankets and swaddles. 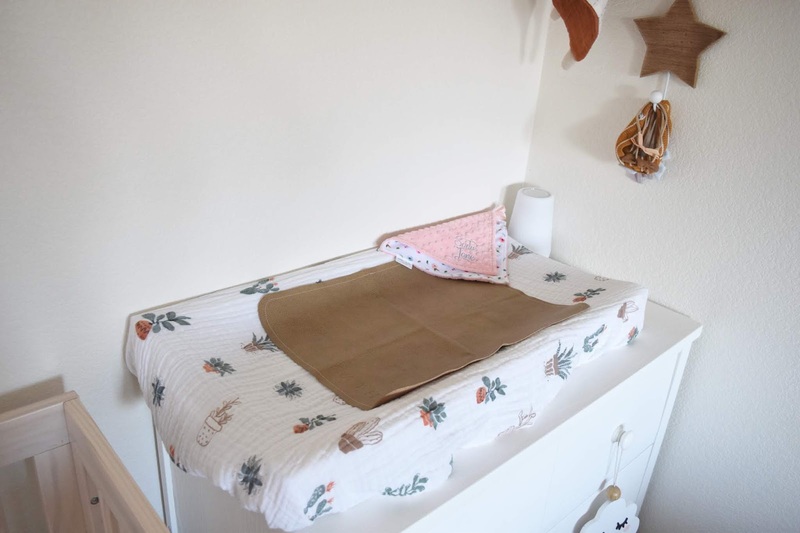 I love that it doesn't look like a changing table but is the perfect size for a changing pad. It was a little tricky to get pictures with our big bed in the way! 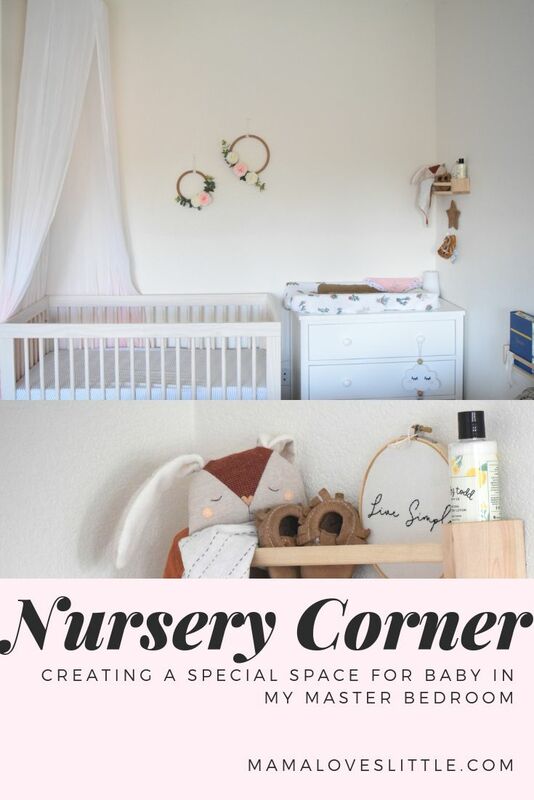 But I really wanted to share that even if you don't have a dedicated room to decorate you can still create a special space for your little one. 3 babies in and it still is so magical just imagining who they will be and who they will become! Thank you Ingrid & Isabel for sending over these items! Hi guys! 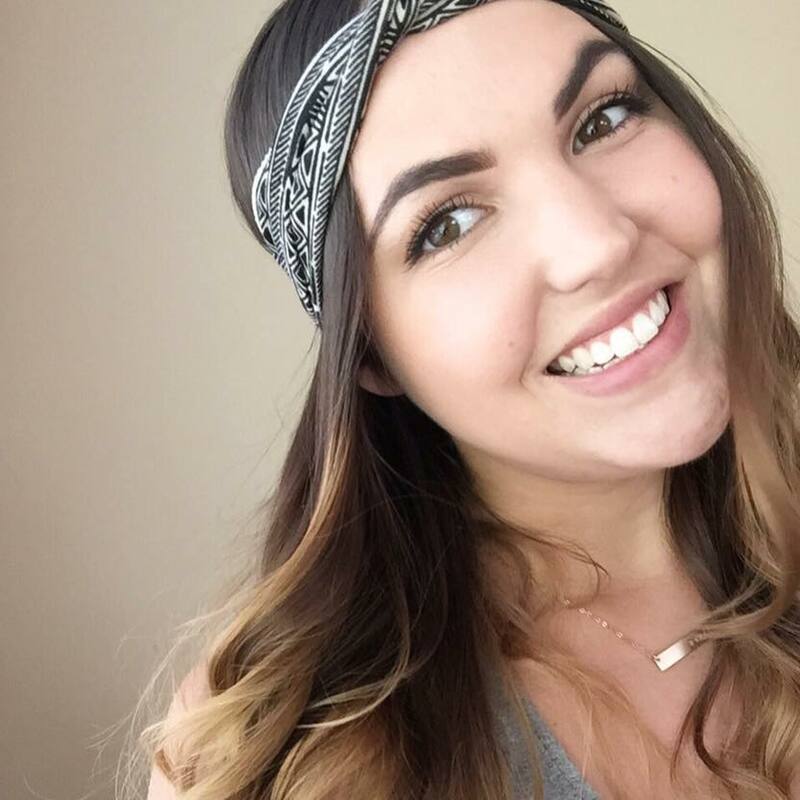 Here are the links to my first ever "try-on"! I couldn't find the blue chambray dress so I included a black one that I have and love. If I find the link I will let you know! 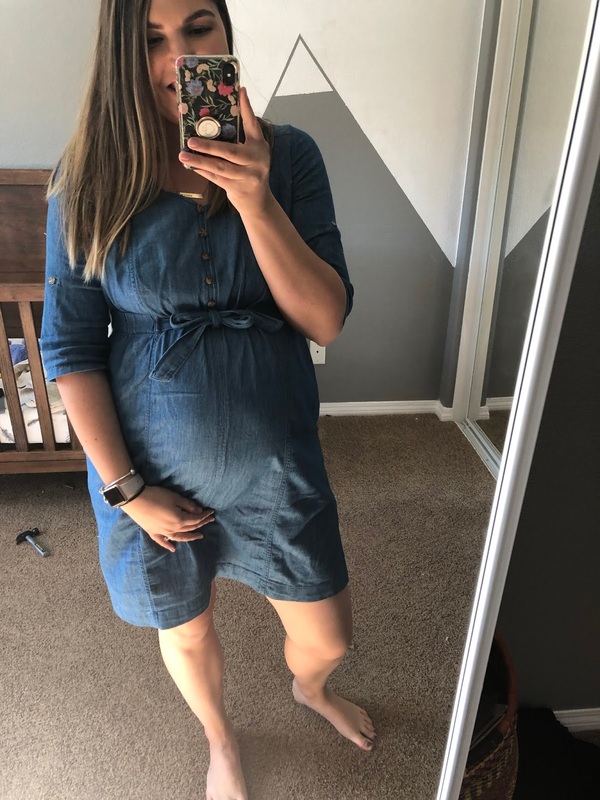 and the chambray dress, I will update this with the link when I find it! 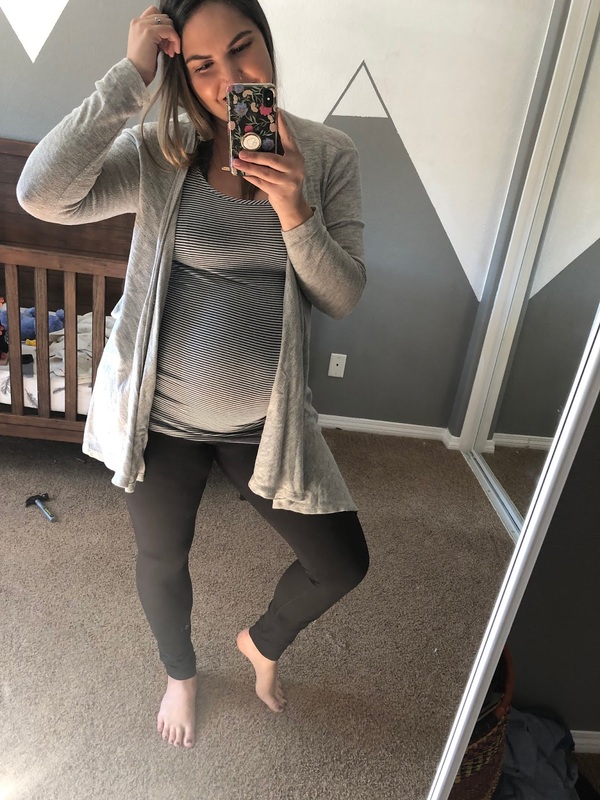 These pieces are so versatile and the start of a really great maternity wardrobe! Christmas will be here before we know it! I am so excited for this year! Avery and Ryder are at such fun ages these next few days are going to be a blast. 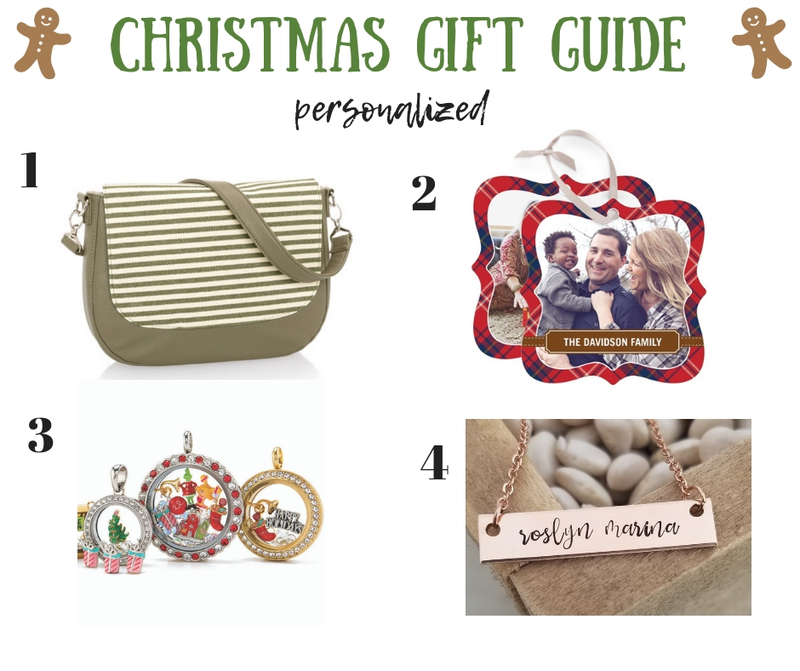 This year I was looking into a bunch of different personalized gift options that would be PERFECT for any holliday and I want to share the best ones! 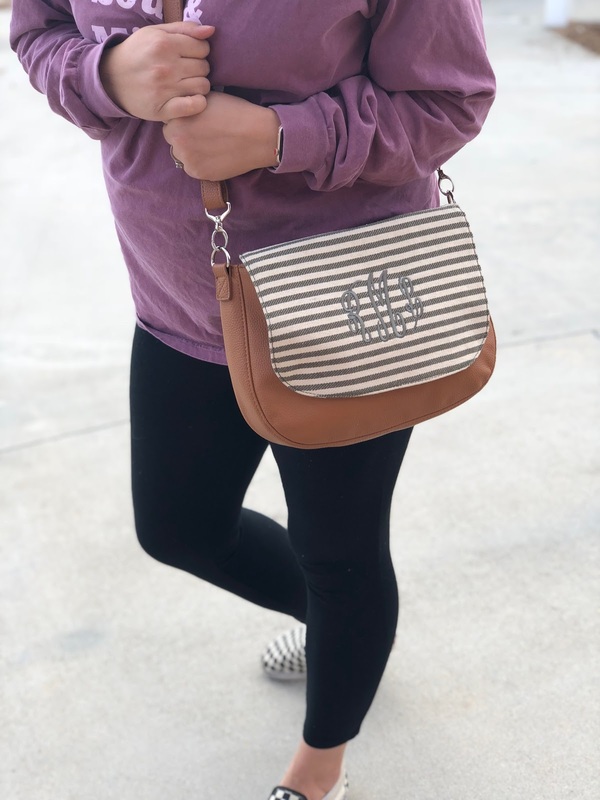 Thirty One Crossbody: These bags are so neat! You can pick your style, color, flap, fabric for the flap and strap. The coolest part? You can personalize the flap! There are so many options too! In mine I can fit 2 diapers, wipes, my wallet, sunglasses, and a few other little things. It's a great bag and I love that I can switch it up. 2. 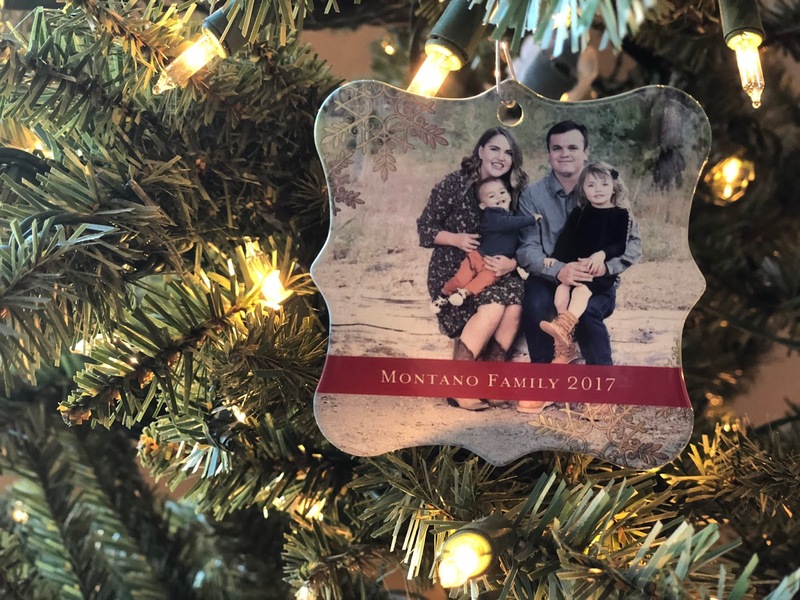 Shutterfly Ornament: These are inexpensive but durable! 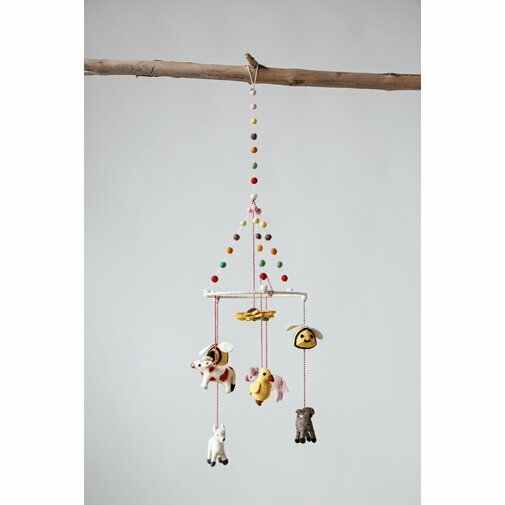 They will definitely last for many years on your tree. Perfect as a gift or as something you get every year with your family's picture on it. 4. 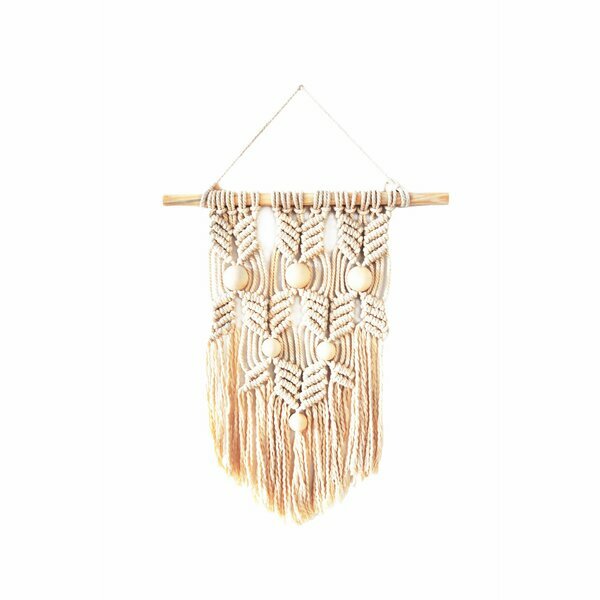 Mountain Feather Designs Jewelry: I felt so lucky when I stumbled upon this company! 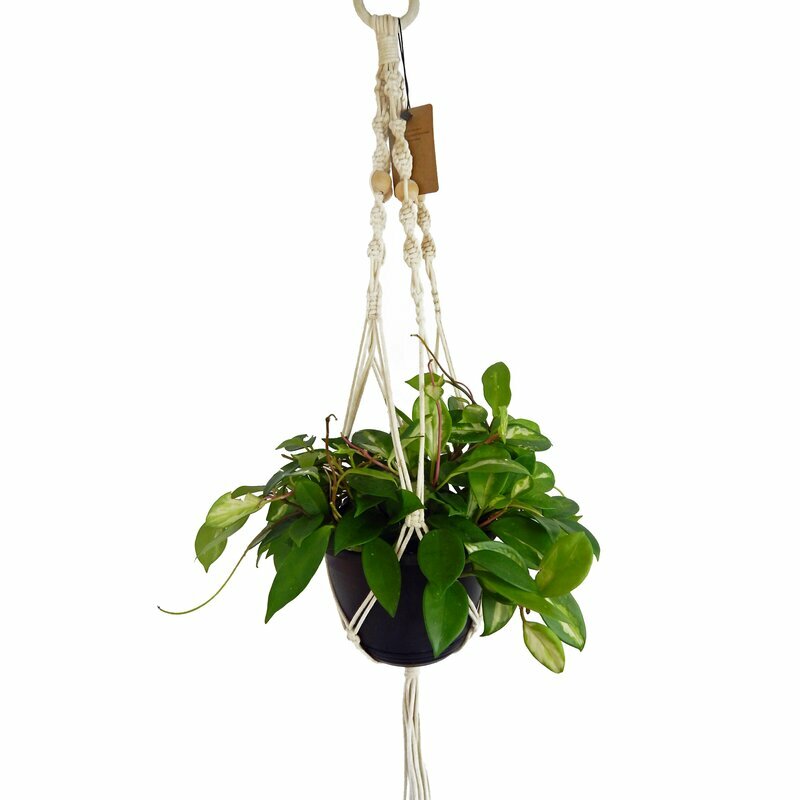 A fellow mama, Kayla owns the company and creates the pieces herself. 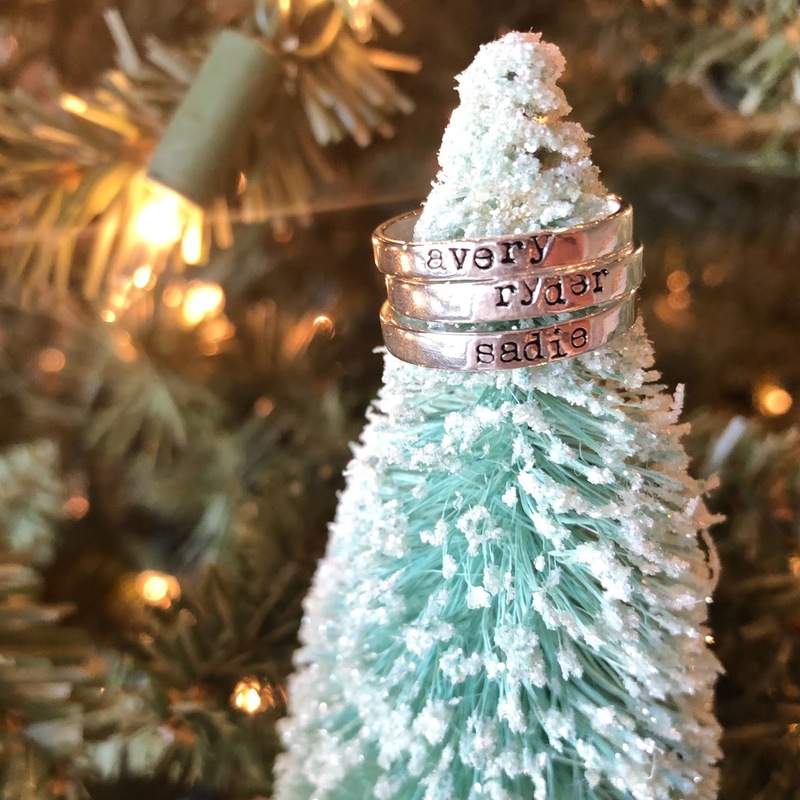 There are tons of amazing options and one my favorites were the stacking rings. 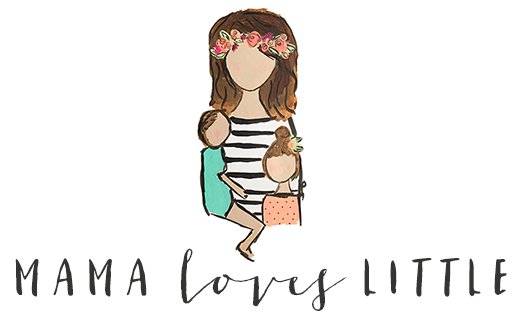 "I'm a mama to 4 that created Mountain Feather Designs as a way to give back to Nationwide Childrens Hopsital where my third child, Aiden, has spent most of his life. 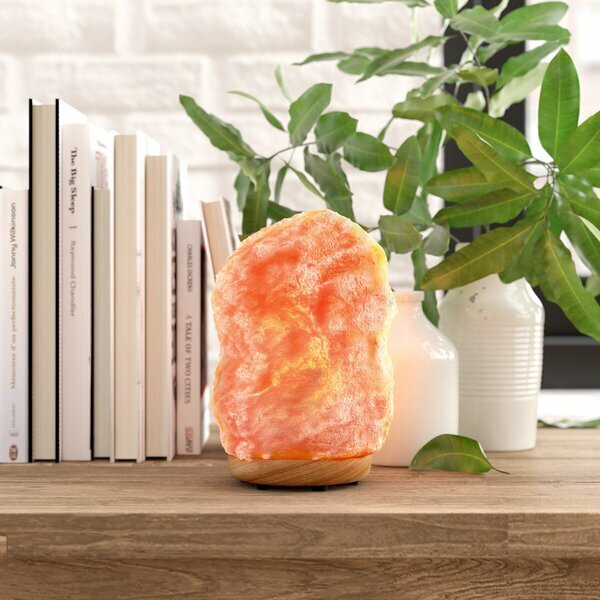 We wanted a way to bless families who are hospitalized with their children and we also make memorial pieces to honor the children who have passed away. Everything is made with so much love in my hand studio which also allows me to work from home while I care for Aiden! We are so grateful for the love and support of our family business that allows us to give back to our local hospital. " If you go and see what she has you will fall in love with so many of her pieces! 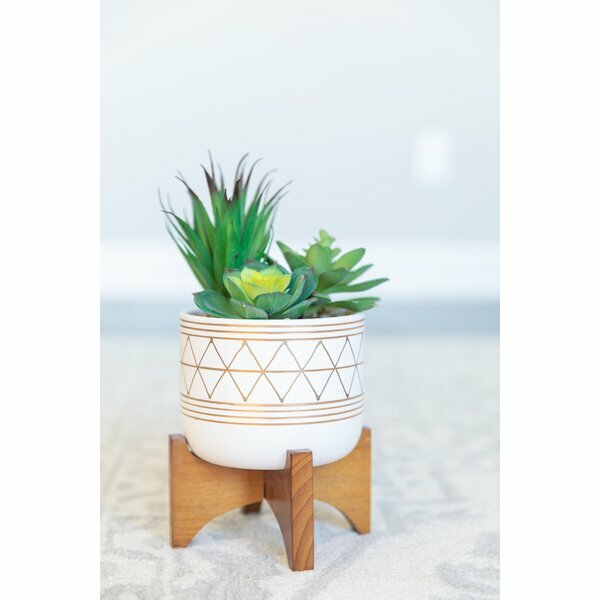 I hope you enjoyed this post and found your new go to for a personalized gift!